offered with a full 12 month guarantee. Watch Workshop and we will gladly replace it free of charge. The Watch Workshop replace batteries in all major brand Diving Watches and Dive Computers. We include a pressure test up to 1000 metres. 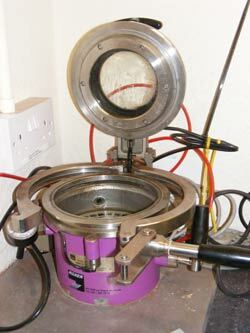 Pressure tests up to 100 metres are carried out on site at the Watch Workshop branch. 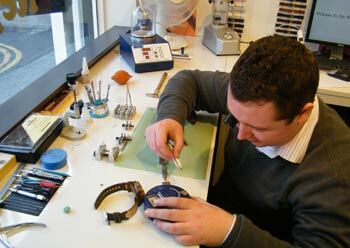 Pressure tests above 100 metres are undertaken at the Watch Workshop main repair centre. 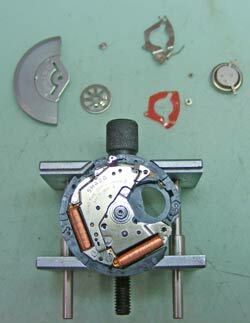 The Watch Workshop also undertake Capacitor (Rechargeable Battery) Replacement. Capacitors are found in Eco-Drive, Solar and Kinetic Watches. we are very happy to deal with all enquiries.